Are you tired of every video feed looking the same? Wish that you could change the way your webcam videos appear? Now you can! 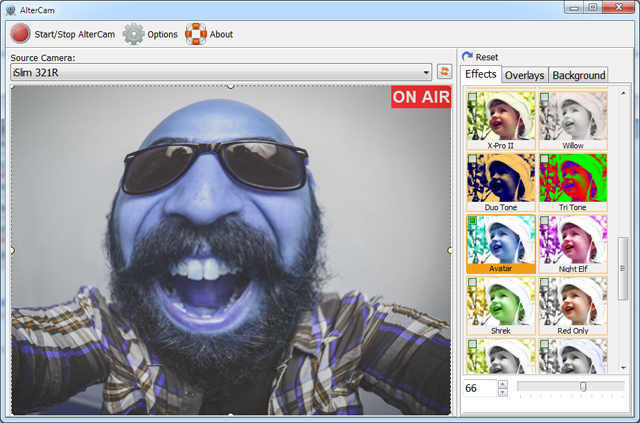 AlterCam lets you add lots of cool visual effects to any Live webcam feed in real-time! Capable of handling 1920x1080 resolutions, AlterCam is ready to help you edit everything from one-on-one video chats to large conference room meetings. Whether you’re Skyping from a laptop or video conferencing over your PC, AlterCam enables you to customize your video presentations. Choose your backgrounds, colors, and opacity. Add images underneath and over top of any live video feed. 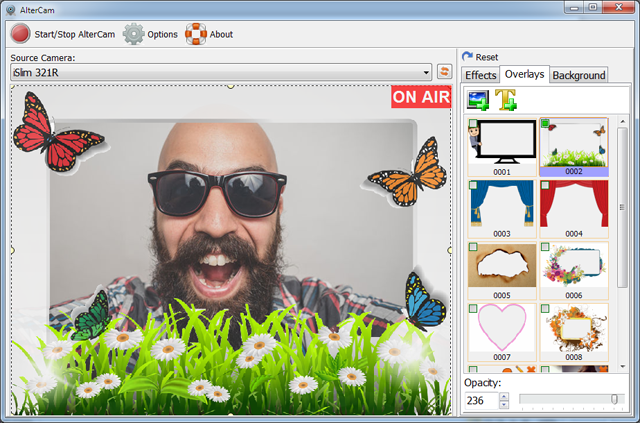 Create your custom frame borders and select screen size; whatever your ideas, AlterCam can help. Before you know it, you’ll have entirely designed webcam themes to choose from depending on your mood, who you’re talking to, or what you’re talking about! 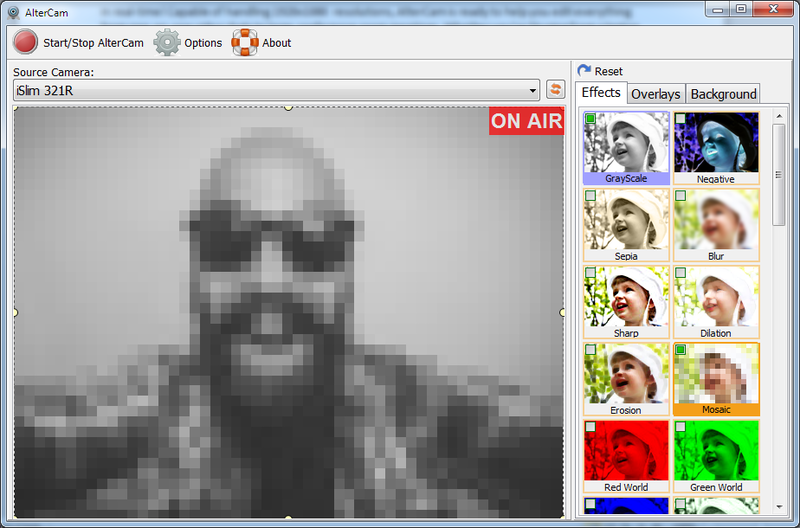 Users looking to add a layer of security to their communications can opt to obscure their image through effects like mosaic, bump mapping, halftone, swirl and more. Because you can have more than one effect active at a time, it’s possible to combine elements to create entirely new and unique visuals. Experiment with what looks cool and have fun with your friends and family. AlterCam is loaded with over 50 image alteration filters. Many common effects are available: GrayScale, Negative, Sepia, Blur, Sharp, Fish-Eye, 1977 (retro feel) and many more. Change the way your images appear on the screen before and even during conversations. Never before has such an exciting tool been available to users of every skill level. Our intuitive, easy-to-use interface will have you playing the artist in no time at all. Most of all enjoy! One of the key ideas behind the design of AlterCam is play. Whether you want your video feeds to appear professional, casual, or just plain silly, we have something for everyone. Download a free trial version of AlterCam today and see what we mean! You can also check our webcam software comparison chart to make a correct decision.